Intended Parents sharing the low cost IVF options in Mexico. Expect Miracles Surrogacy is the Agency owned and operated by Intended Parents for Intended Parents who will support you through the entire surrogacy process. Our main purpose is to offer support and resources to Intended Parents who are overcoming their infertility by creating their family through Surrogacy. Our goal is to work with professionals who will offer reasonable fees to Intended Parent and match them with a caring Surrogate to bring their dreams to life. We are Intended Parents ourselves and understand better than anyone the support you will need and the quality of care you deserve. 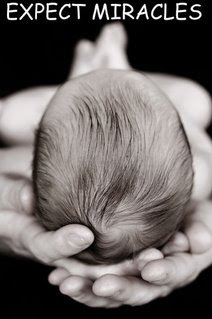 Our Surrogate matching process is very detailed and custom fit to the needs of our Intended Parents. There is not a one size fits all Surrogacy arraignment, regardless of your needs and desires we are committed to find the perfect match for you. We work with professionals in almost every state for contracts and medical procedures needed as well as IVF services in Mexico. IVF in Mexico is an affordable option for US couples. Surrogates from the USA that will travel to Mexico for the IVF transfer and deliver in the USA. Only Latin Egg & Sperm Donors available. These prices are current estimates however prices change with the exchange rate. Doctor's are UK and US trained. You will need to be in Mexico for 6-15 days. Pre-cycle tests done in the US at your doctor can shorten you stay. We will coordinate your IVF Experience in Mexico and help you save money. Low Cost Surrogates from the USA are available. FIND OUT HOW! If you have gone to Mexico for IVF we would like to hear you story. Tell is about your experience and we will share it here and provide a link to your website so that other couples that are struggling with fertility issues can make an informed decision about going to Mexico for IVF. It is cheaper to go to Mexico from the USA for IVF than traveling to Europe, Africa or India. Share your story on MexicoIVF.org here. OR contact us on our Mexico Message Board Here.